I love watching birds flying and playing around in my backyard. We get mostly robins, but in the winter, we see quite a few cardinals. Oh, how pretty they are! 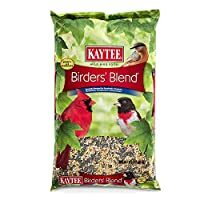 So, in order to keep them coming, I decided to look for the best bird feeders for cardinals. 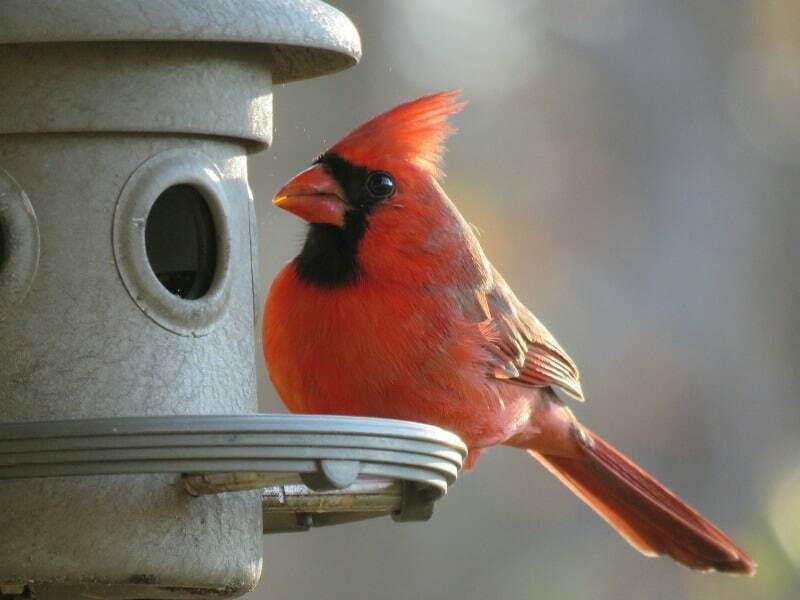 Since cardinal are bigger birds, when choosing a bird feeder for cardinals, you need to remember their size. It’s hard for cardinals to maneuver around a tube type bird feeders, small bird feeders or if the feeder doesn’t have the right perch. 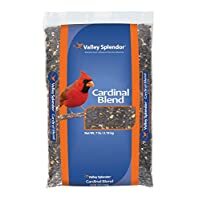 What should you put in the cardinal bird feeder? 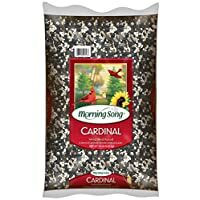 Cardinals love large seeds. Offer them any of the following and they’ll be happy. Of course, if you have berries and fruits in your garden, they might feast on those too, as well as insects from your vegetable garden. Squirrels have a way to get into just about any bird feeder in our backyard. I have to admit: sometimes I love watching them do their thing. They are a lot of fun, but they are also destructive both in the garden and in my feeders. Here’s some help keeping squirrels away from your feeders. I looked around and found several cardinal feeders that seem to be squirrel proof. 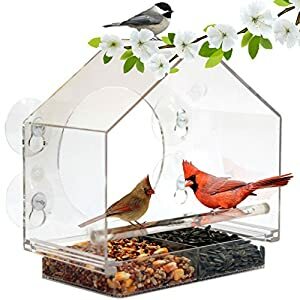 In my opinion, squirrel proof makes these the best bird feeders for cardinals. 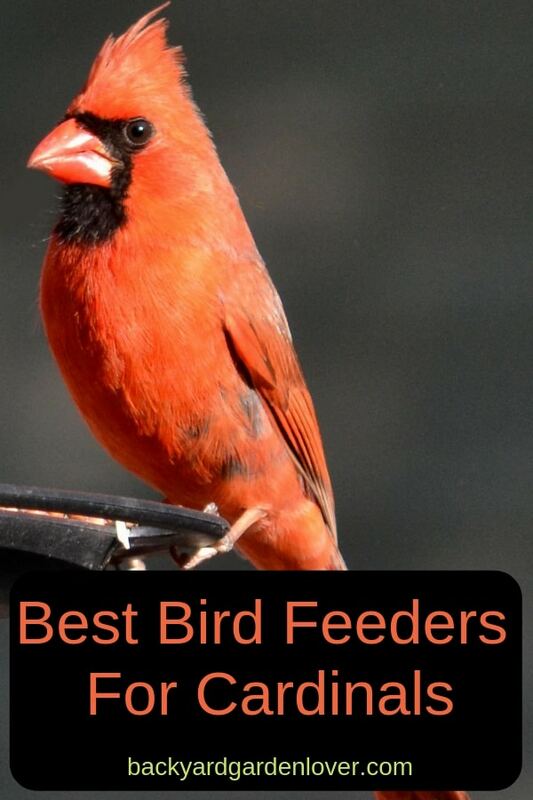 This is, hands down, one of the best cardinal feeders there are. It’s big, sturdy and holds about 2.5 pounds of seed. 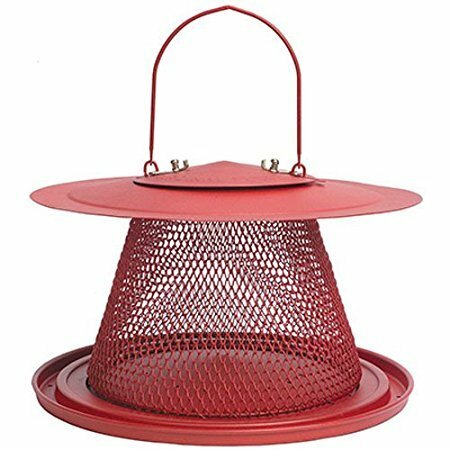 The No/No Red Cardinal Wild Bird Feeder adds style and function to any outdoor area. And because it’s made of metal, it can stand up to squirrels. 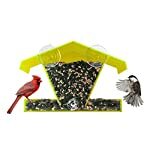 With over 1600 reviews on Amazon, this cardinal feeder it’s worth looking at. Want to see what people think about it? Check out the reviews here. 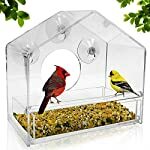 Another favorite cardinal bird feeder, the Brome 1024 squirrel buster plus wild bird feeder with cardinal perch ring comes with lifetime warranty. If something breaks, just call the company and they’ll send a replacement at no cost to you. With over 2700 reviews, it might be the one for you. 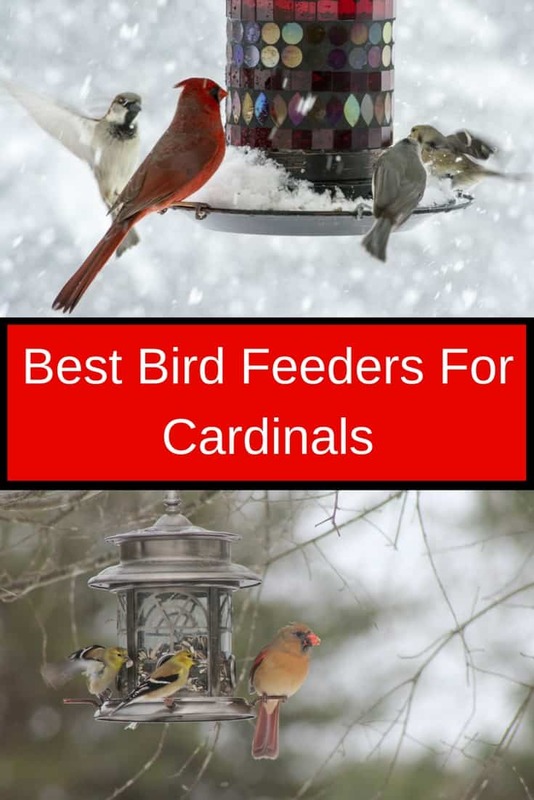 As you can see, there are several bird feeders that are great for cardinals. 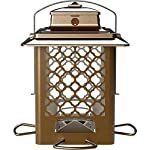 Get one that suits your needs the best, and enjoy watching thee beautiful birds in your backyard. 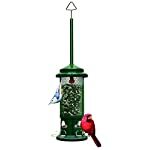 Related: Hanging bird feeders that you and your birds will LOVE! Oh, I noticed many birds just run into our windows and some get hurt. My friend LeAura rescued a baby cardinal that collided with their back porch window. See pictures and a video of the rescue here. That baby cardinal is so adorable!